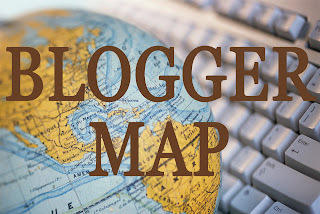 Thank you all for your response to the Blogger Map Project! So far I have over 80 forms in, and about 2/3 of you added to the map! I hope to catch up with everyone up to this point, tonight. Thank you for being patient! I'm really excited about the potential of this map and it's exciting to see it keep filling up and see bloggers from all over the world. (I know there are a lot more of you out there! It only takes a minute: Add yourself to the Blogger Map) I've already found dozens of great new blogs and you will too! Regarding Tweets: If you tweeted about the Blogger Map, but you didn't paste the tweet link in the form, mention #BloggerMapProject, follow me, OR tweet @ me, then I can't see your tweet and give you credit for it! If you didn't meet any of the above requirements but already submitted the form, no need resubmit. Just Follow Me and Tweet This - and I'll make a note get you added ASAP! Thanks. Lastly, I completely understand everyone's need for privacy and security. I don't want anyone to feel uncomfortable with posting their location. However, I don't think it's fair to add your blog to the map if you only sent me your state or country (or no location at all). The point of this map is to find local bloggers so please make sure you are comfortable listing both a city and a state/country before filling out the form. Thanks! I added the button and blogged about you today! I think this is a fabulous idea! I added the button! I love this idea! I hope you get a ton of responses! Added the button. You rock!